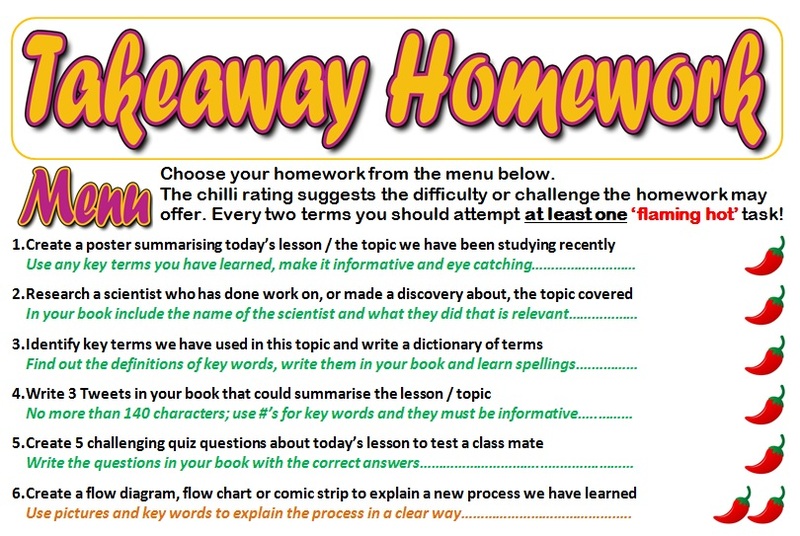 Rather than setting all of your students the same homework tasks week in week out, give them an element of choice from time to time. Prepare a range of activities which vary in nature and depth of challenge, and let the pupils choose which one they wish to do. On the Takeaway menu below [click to enlarge], the level of challenge is represented by the chilli peppers. The tasks it contains are fairly generic, but there’s no reason at all why you couldn’t create some which are more subject-specific or which relate to particular course objectives. Of course, it’s tempting to assume that pupils will always opt for the simplest task, but experience suggests otherwise: pupils prefer to choose activities which will engage and stretch them, and frequently surprise their teachers with the work they produce. However, just to be on the safe side, some teachers will insist that over the course of a term, a certain number of extra-spicy tasks are attempted! 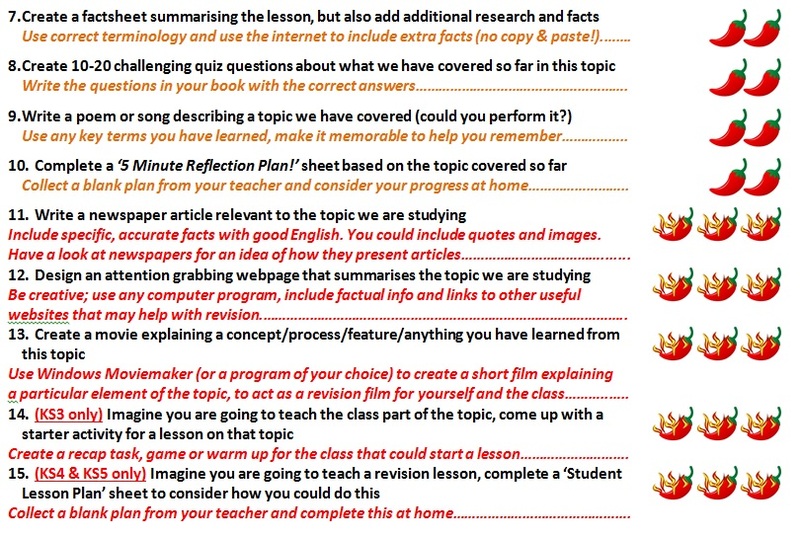 Are your pupils struggling to produce essays with clear arguments supported by suitable evidence? 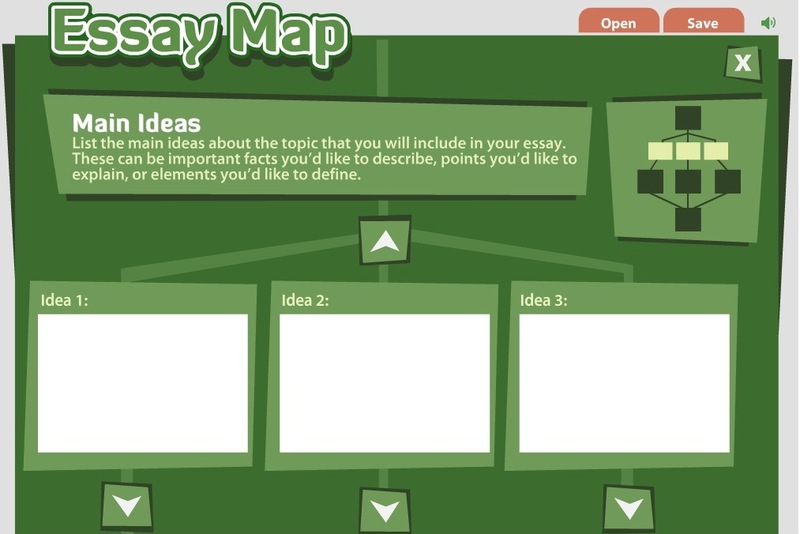 It might be worth getting them to try using the “Essay Map” website. No sign up required. Check out this link. Students will be given the definition and asked to provide the term, or vice versa. Students see the definition and have to remember the term, or vice versa. Pupils are asked varied questions about definitions and terms – some are multiple choice, some ask for text, etc. The term is read out by the website (possibly not entirely reliably), and the student has to spell it. Several definitions and terms are scattered across the screen. The pupils have to pick up and drag the definition over to the correct meaning, or vice versa. The presence of a timer adds an extra challenge. The definition slides across the screen and the student has to type in the term before the definition disappears. 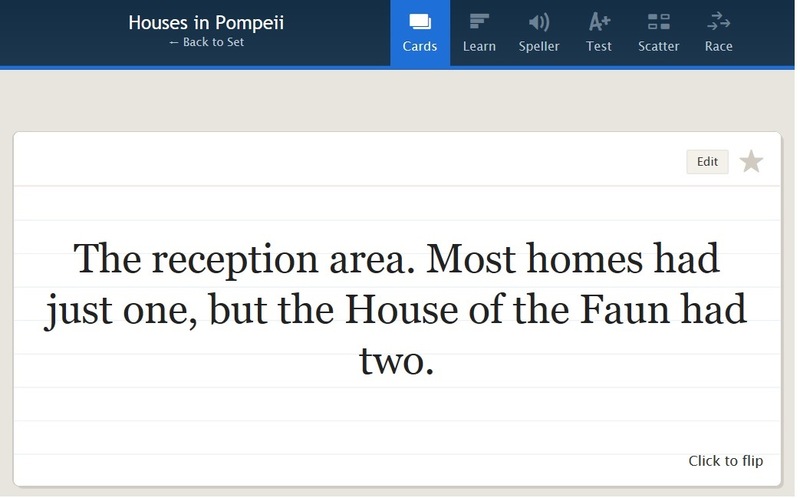 This is very easy to use, and the students will certainly enjoy it. Be aware that an account has to be set up with Quizlet in order to use it and that while this is free, there are also upgrades available at a cost. If you like the sound of all this, click here to try it out.